Custom E7-hook test fixture for small coils. Wilco side Action Surface mount component test fixture. 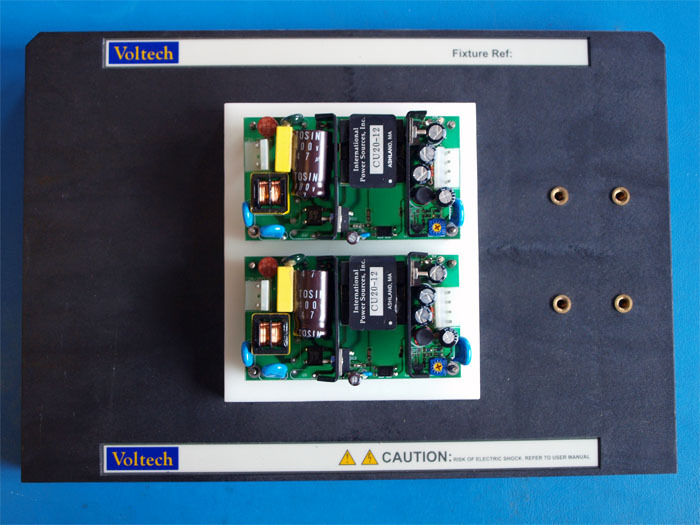 Custom DC Bias inductance test fixture. Horizontal PCB test fixture. Probes for each side of PCB. Full kelvin. Custom High-voltage test fixture for ARC/Hipot testing using Helium gas. Turns Ratio test fixture for current transformer. Clamp is part of excitation primary. 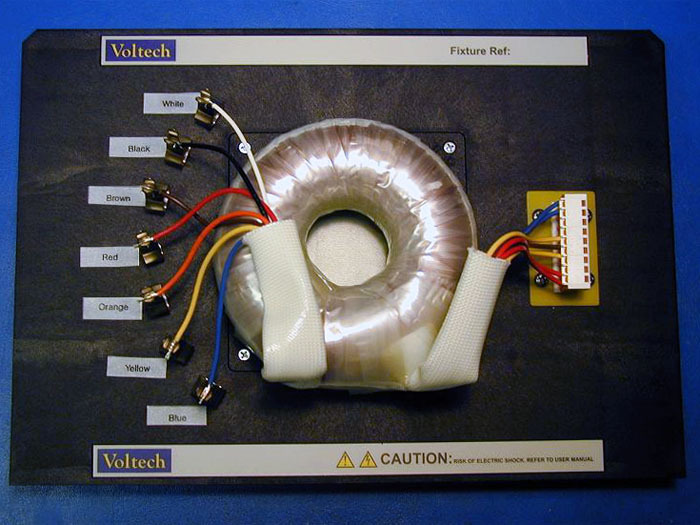 Custom test fixture for toroidal transformer. 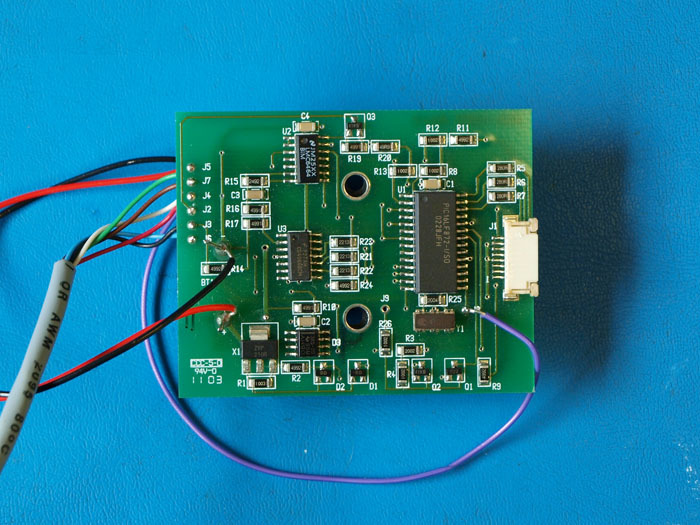 Printed Circuit Board designed by Wilco. Printed circuit boards designed by Wilco. 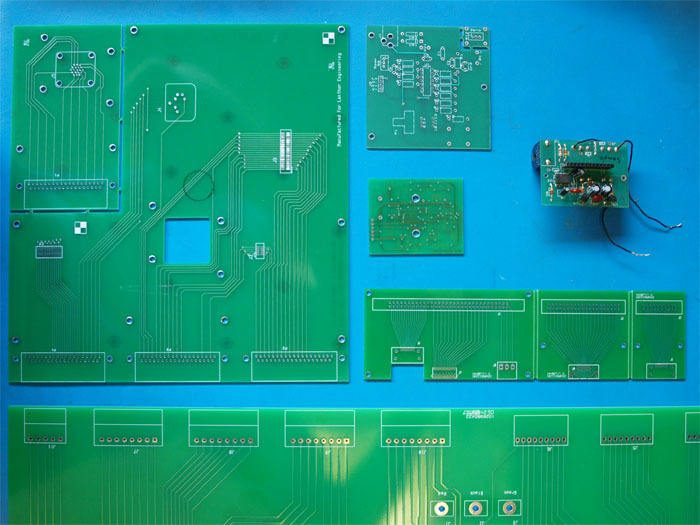 A Combination of boards, Some are interface boards for cable test fixtures and others are custom circuit designs.